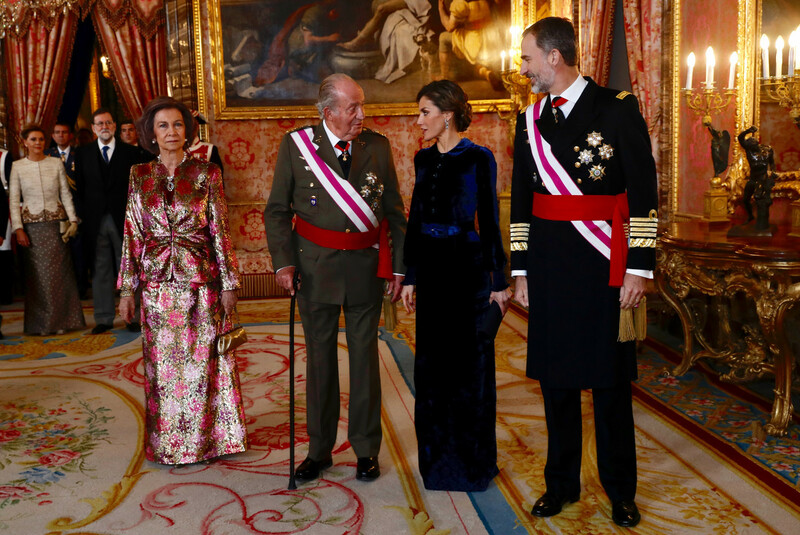 At the Royal Palace of Madrid, King Felipe and Queen Letizia were joined by King Juan Carlos and Queen Sofia on the occasion of New Year’s Military Parade, also known as Military Easter. The traditional celebration of the Pascua Militar is deeply rooted in the Spanish military and dates back to 1782 during the reign of Carlos III. 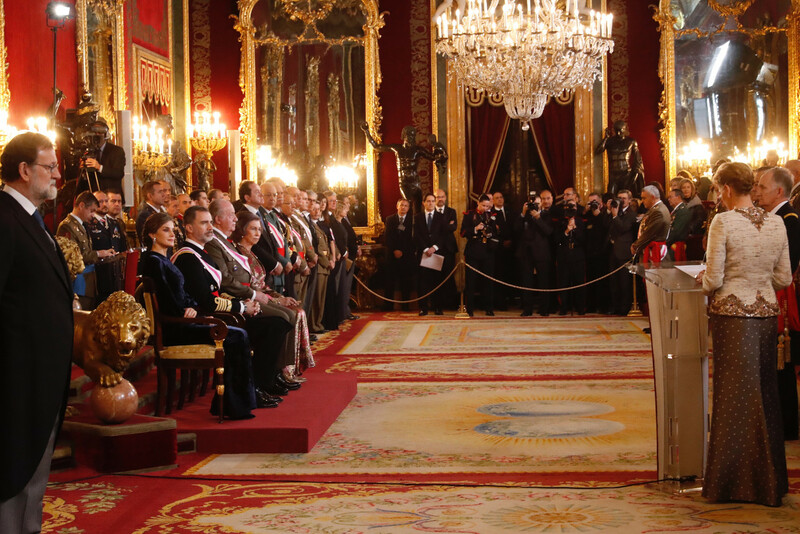 The ceremony is held annually on the day of Epiphany at the Royal Palace of Madrid. 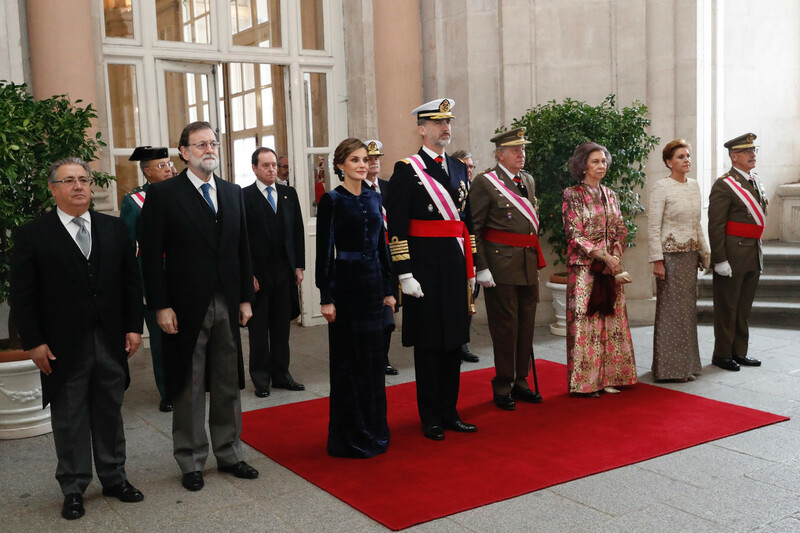 This year Juan Carlos and Doña Sofía attended first time since their abdicatin, as part of the activities that will take place during the year 2018 to mark the 80th anniversary of His Majesty the King Don Juan Carlos on January 5 and His Majesty Queen Sofia on November 2 next. The traditional military parade by the Royal Guard was cancelled due to the bad weather. 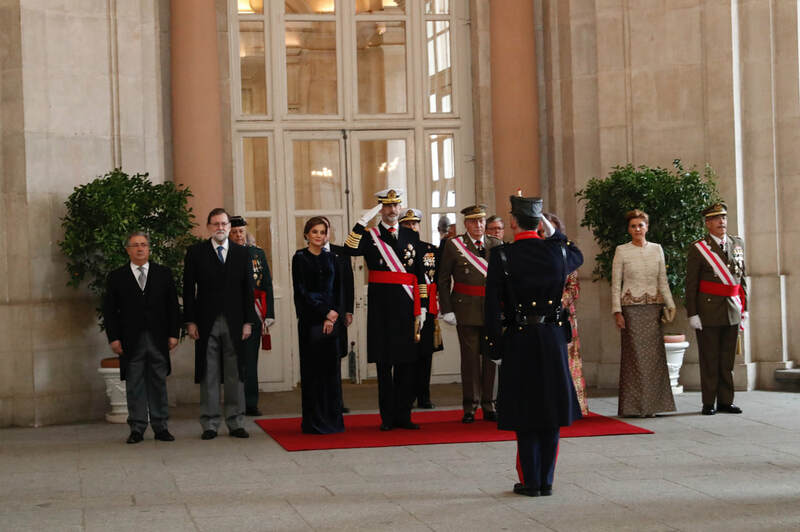 After the ordinance honors in the Zaguán de Embajadores and the interpretation of the National Anthem, Their Majesties moved to the Saleta de Gasparini, where they received the greeting of the Commissions of the Central Organ of the Defense and the General Staff of the Defense, the Royal and Military Orders of San Fernando and San Hermenegildo, the Army, the Navy, the Air Force, the Civil Guard and the Royal Veterans Brotherhood. 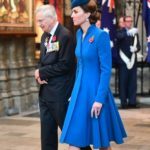 After the greetings, the royals with the attending authorities and the members of the commissions moved to the Throne Room and took their places. 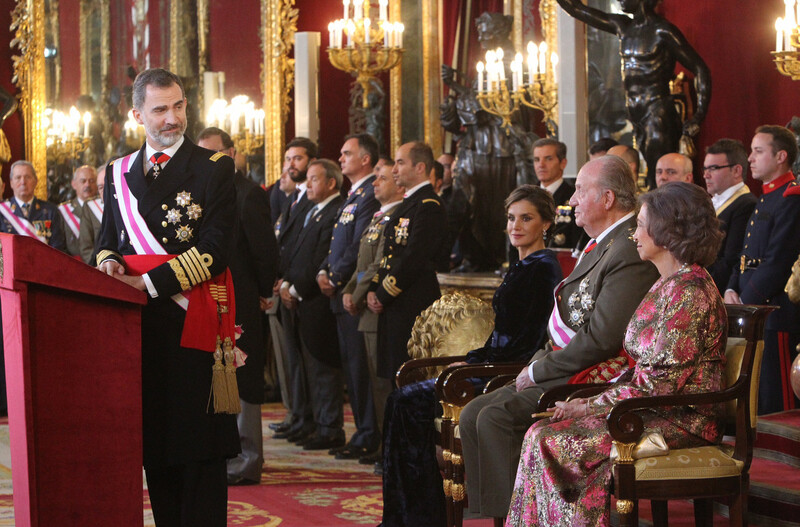 The ceremony began with the imposition of decorations by King Felipe VI to different members of the Military Commissions. 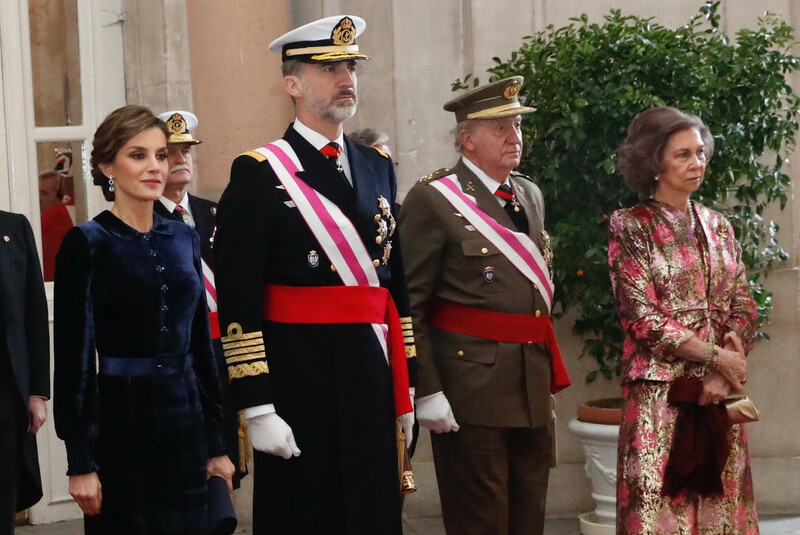 His Majesty King Felipe VI began his speech with words of gratitude to His Majesty the King Don Juan Carlos and praised the Military efforts of Spain. Moving towards today’s sartorial details, on arrival Letizia was wearing her Carolina Herrera black fur collared cape. 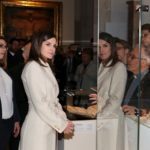 Inside the venue, Queen Letizia removed the cape and revealed a new piece from her Spanish head designer Felipe Varela. Queen was wearing a midnight blue velvet gown. 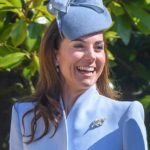 The gown features a long puffed skirt and gathered around the wrist, a Peter-Pan neckline and jeweled buttons from the neckline to the waist that has a matching belt to highlight Queen’s slender figure. 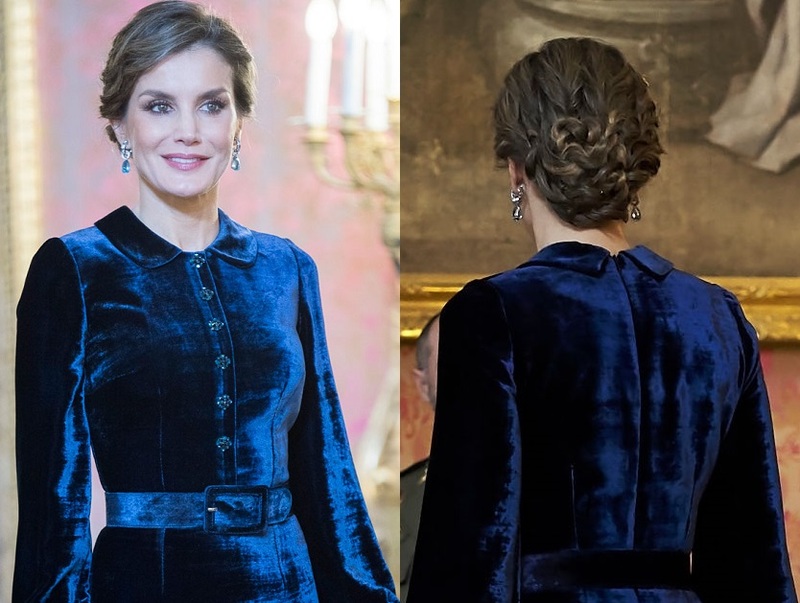 Queen Letizia paired the luxurious gown with matching coloured accessories. She wore a new pair of dark blue velvet Lodi ‘Rami’ pumps that cost €130.00. 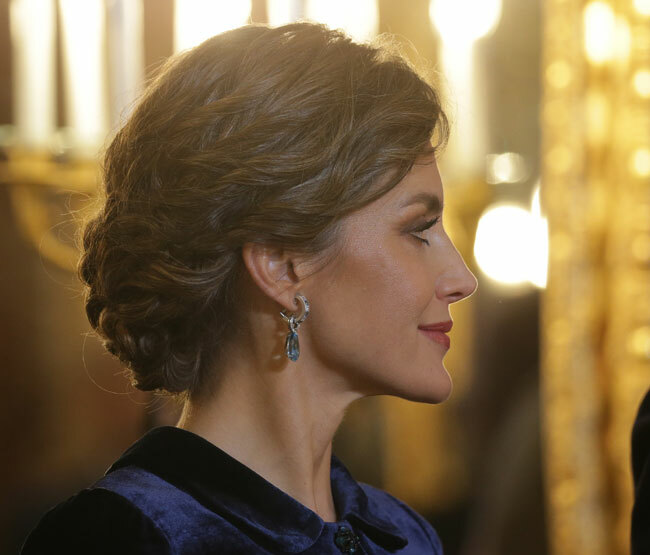 Keeping jewelry to elegant, Letizia wore her Bvlgari aquamarine teardrop earrings that she showed off with an equally elegant chignon. 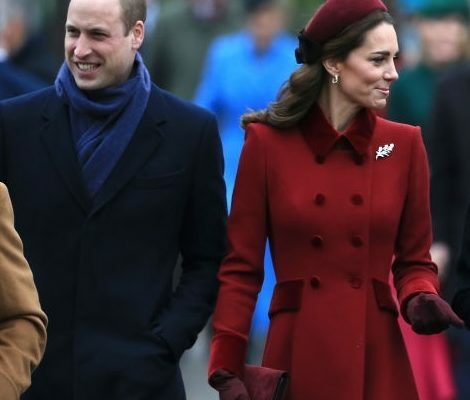 Queen was seen carrying her trusty Felipe Varela Blue suede clutch bag. Later in the day King Felipe was seen driving his wife and both daughters to his Father-in-law’s house to celebrate the Three King’s day. 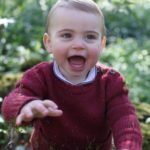 It has became a kind of tradition for the royal family to celebrate the day with Queen Letizia’s father as they are doing it since many years regularly.